Cycling leisurely, and often aimlessly, around town has always been a characteristic of life in Levanto but five years ago this Levantese custom found a new outlet beyond the town limits when the old railway tunnel to Bonassola was opened to pedestrians and cyclists. 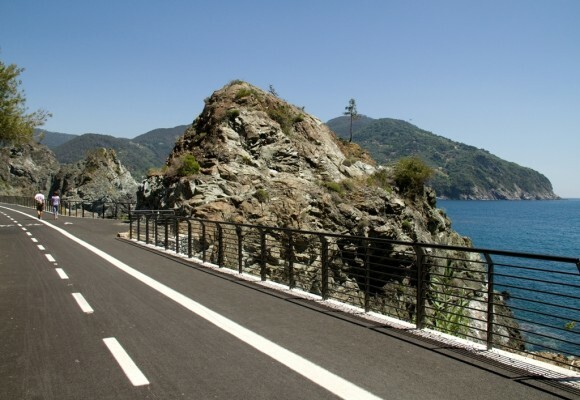 In the spring of 2010, after many years of negotiating, planning and investing, the two kilometre track that connects Levanto’s esplanade with that of Bonassola was eventually opened to the public. Suddenly there was a two-way, street-lit cycle path with pedestrian lane which meant you could get from one town to the next in just a number of minutes, get some exercise in a cool place during the summer months, check out the magnificent views while breathing good sea air and access some uniquely beautiful little beaches! The following spring saw the opening of the next section of the track from Bonassola to the pretty little natural harbour at Framura. This little seaside town is an annual reunion venue for groups of friends who come year after year just to enjoy each other’s company on the beautiful beach and the clear clean water of the bay. Once you are out of the tunnel, I would advise parking your bike and walking around the little pedestrianised town centre and out along the path to the romantic pink arched cloisters of the tiny cliff top church, the Madonnina della Punta. Check the programme of events and exhibitions in Bonassola as the newly renovated 16th Century Ardoino Castle is now an interesting and popular venue for events. If you are into Baroque, I would also recommend a visit to the Church of Santa Caterina of Alessandria as its plain Ligurian façade belies a sumptuously decorated interior with paintings that are attributed to the workshop of Bernardo Strozzi. Framura is not one village but a string of little hamlets clinging to the hillside that climbs up from the shore. When you get to the end of the cycle path, park your bike and go down the steps to the beautiful little harbour from which you can pass under the railway line and head up into Framura. If you don’t feel like climbing all the way up to Costa, there is a shuttle bus which goes up from the station about once an hour. 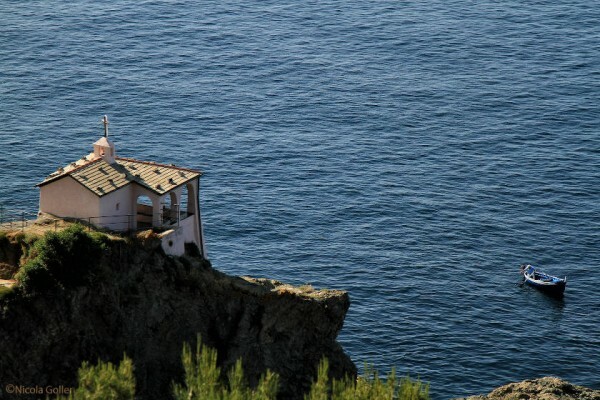 From Costa you can take the footpath down, zigzagging from one hamlet to the next (Setta, Ravecca, Anzo) along tiny lanes, past drinking wells, ancient Genovese lookout towers, old communal laundry baths, tiny churches and breath taking viewpoints. From Framura station there is also an underpass which takes you to the little beach of Torsei where you can either stop and relax or take the beautiful new footpath which leads to the Vallà beach which skirts the coast and is reminiscent of the famous ‘Via dell’Amore’ in the nearby Cinque Terre. 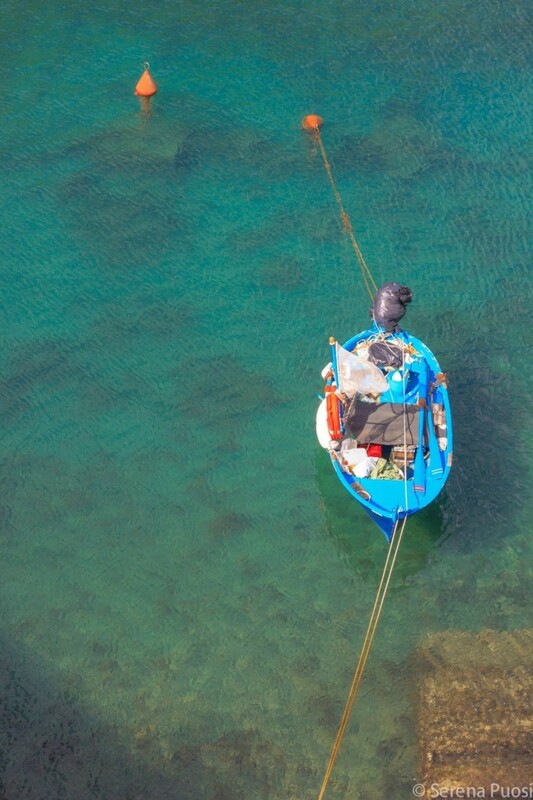 Have you read any blogs about Levanto? Have you written one yourself? Let us know, leave a comment..